Any passionate learner of the English language may be familiar with the different figures of speech, such as hyperbole expressions and onomatopoeic words. These literary devices and rhetorical tools play an interesting role in both writing and speech. Apart from adding color to our works, they also help keep an audience fully engaged with every word. Among the many literary devices to ever exist, lies a figurative language that’s seemingly illogical in form. This is called an oxymoron. This is widely used in the English language, be it for ordinary speech or written literature. But regardless of its usage, there’s no denying how oxymoron can add a sense of humor to even the most serious pieces. You may also see Appreciation Speech. An oxymoron is a figurative language that joins together two opposing elements to form a sensible idea. It must never be taken literally, otherwise, the statement may be misinterpreted. Although an oxymoron is paradoxical in nature, the key difference between the two is how a paradox presents a situation with the unlikely coexistence of two events, while an oxymoron is simply a figure of speech. Although most oxymoron examples are only two words in length, there are instances where the oxymoron may consist of two contradictory phrases or clauses.You may also see Special Occasion Speech. Can a baby be relatively “big” in size? How can something invisible appear when in fact, it shouldn’t even be seen? Is it possible for something nice to be awful at the same time? Chaos is far from being controlled, and a mess is anything but organized. The examples above may seem logical if they were used in their proper context but as these phrases stand on their own, they are bound to leave us in a sea of questions. You may also see self-introduction Speech. You must be wondering, how can something so different be the same? The answer to this can never fully be understood, but that’s the beauty of an oxymoron. The peculiar combination of contradicting elements can either confuse a person or give them something to laugh about. This helps spice up everyday conversations by adding a touch of wit and humor to it. You may also see introduction speech. Clara clearly misunderstood my point. He did the exact opposite of what I told him to do. I hope nobody pulls a practical joke on me on April Fools. We got into a fight, so she stormed out and left me all alone. Thea is my least favorite person at work. She has a terribly good voice. Mark is acting oddly normal amidst everything that has happened to him. The deafening silence between us is killing me. The movie I watched the other day was incredibly dull. I let out a silent scream as Clayton grabbed me from behind. It’s an open secret that they have been seeing each other for a year now. The woman he is with is painfully beautiful. The joke Marco said in class was seriously funny. I can’t think straight because I’m going through a minor crisis in my life at the moment. I didn’t think Avocado ice cream would be disgustingly delicious. With summer just around the corner, I’m sticking to my heavy diet. Jenny was forced to stand down from her position as secretary. I had no choice but to tell her the truth. Our love story is a beautiful tragedy in the making. According to my calculated guess, he’ll arrive in about an hour or so. 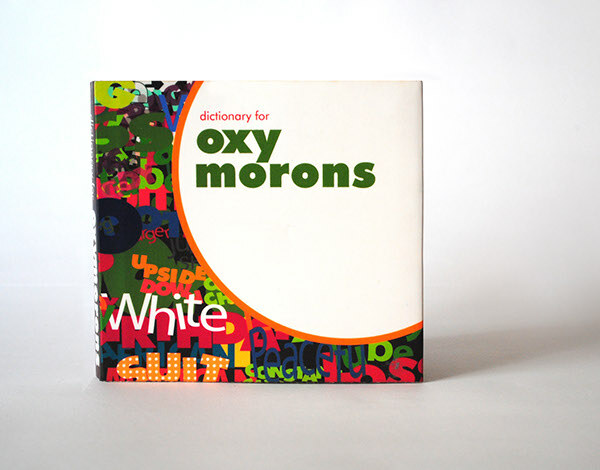 Oxymoron plays a significant part in written and spoken English for a number of reasons. For starters, it challenges a reader in understanding speeches, poems, prose, and other forms of literature that consist of terms and phrases that seemingly oppose each other, but upon closer inspection, make perfect sense. Many authors incorporate oxymoron into their writing to emphasize the dual nature of a particular idea or concept. This causes a reader to think deeply about the message the writer is trying to get across. While oxymorons simply express the creative mind of an author, it is sometimes used to create a comedic effect in writing as well. You may also see speech examples. Shakespeare is known for using oxymoron in his writings. In this famous play, you can find several oxymoron examples. While some lines consist of contracting words that are placed beside one another, other examples show how oxymora may also be applied to a statement (such as “misshapen chaos of well-seeming forms”). Here, oxymoron functions to illustrate the conflicting dualities of love and the extremes that one may experience when in love. This helps the author communicate emotions that are difficult to profess in simple terms. And, because the overall theme of Romeo and Juliet centers on tragic love, the very relationship shared by the lead characters is an oxymoron in itself.You may also see Presentation Speech. An excerpt from Pope’s poem wittily describes a person who is fond of reading, yet learns nothing from it. A “bookful blockhead” who is “ignorantly read” is a clear example of an oxymoron that uses humor to convey a given thought.You may also see informative speech. It is clear that oxymoron is a powerful literary device used to add drama and appeal to speech and writing. It helps turn an otherwise dull piece into something that is worth reading through the application of subtle humor. This allows a speaker or writer to perfectly describe or express a given sentiment by using opposites. Oxymora add flavor to our words by incorporating a comical twist that listeners and readers are sure to catch. Despite its witty nature, the oxymoron is an integral part of every language, whether it is written or spoken.You may also see orientation speech.